The Tata consultancy Services (TCS) is one of the top technology company in India and the world. The company recruits college fresher to work with various departments, products and services. Currently TCS has two arms: 1. IT – Information Technology and 2. BPS – Business Process Sourcing. 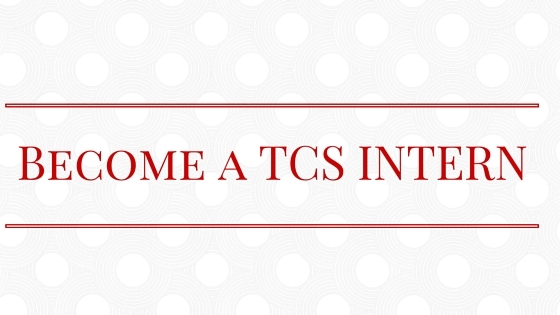 If your college has a placement cell, chances are TCS recruiters will visit your campus for placement. In otherwise case, you can directly apply for Intern Position at TCS IT or BPS given your college is accredited with TCS. Recent graduates, post graduates, diploma holders and candidate in the final year of a program can apply for Internship. There are two ways of registration: 1. Camps Applicant (If TCS visits to your college for selection and placement) and 2. Off Campus Applicant (If your college is accredited with TCS but campus placement not available). Once your application received and short listed, you will need to appear for TCS IT Internship Test; test locations are spread across India.